We are sad to announce the abrupt and uncalled-for dissolution of the Cumberland Trail Conference. The CTC was founded in 1997 by the Tennessee Trails Association (TTA). The CTC has built and maintained the incredible Cumberland Trail and was on track to complete it in upcoming years. They have connected people, both local volunteers and BreakAway volunteers from across the country to the trail. CTC ensured that the trail was on-track not only for mere completion, but for becoming the definition of a high-quality, challenging, well-loved trail. oh, and they were responsible for the trail being there in the first place! Organizations are only as strong as the hearts and souls behind them, and the Cumberland Trail Conference was filled with passionate, intelligent, dedicated individuals who enriched not only our hike, but our lives. Unfortunately, the Cumberland Trail Conference was recently dissolved by Tennessee Trails Association. The TTA leadership responsible for this did not give advance notice to board members or the membership base prior to the meeting. This hostile takeover of the organization and its assets is a shameful slap in the face to those who have given so much for the dream of completing the Cumberland Trail. 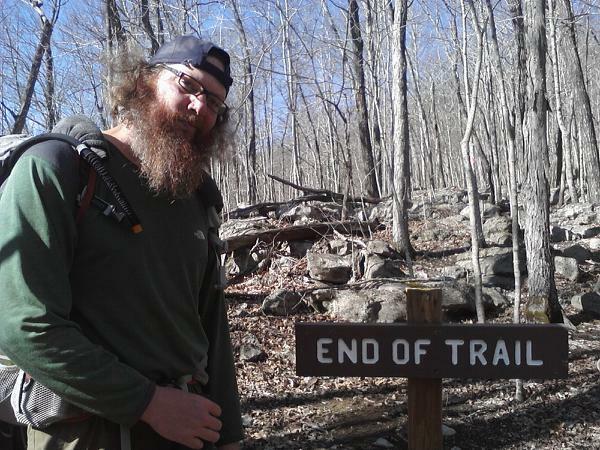 This is a heartbreaking and embarrassing chapter in the story of the Cumberland Trail and our thoughts are with the CTC, its volunteers, and with the trail itself. Thank you for everything. The next adventure . . .